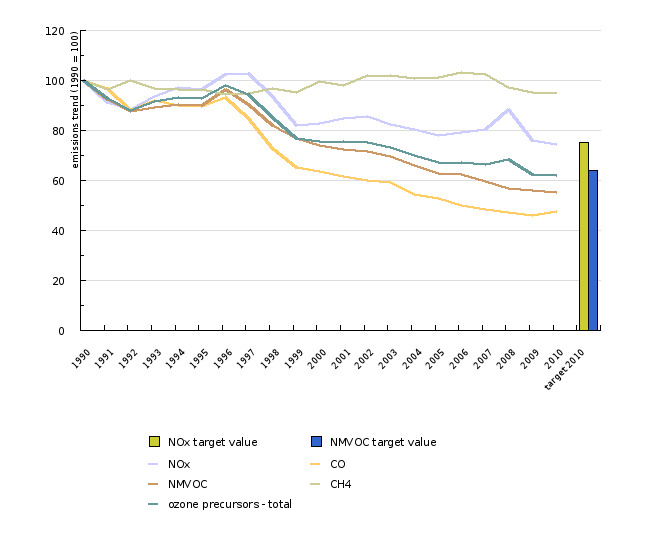 Emissions of the main ground-level ozone precursor pollutants have decreased by 38 % between 1990 and 2010. 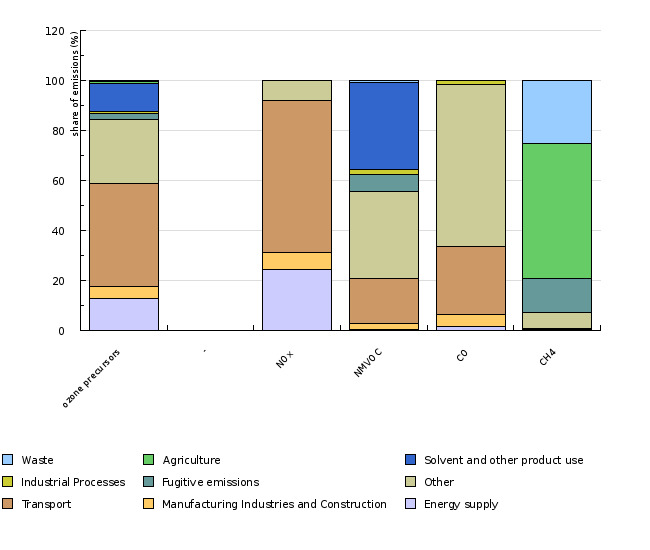 Reductions have occurred mainly because of increasing prevalence of catalytic converters for road vehicles and as a result of tightening of EU regulations on new vehicle emissions limits. 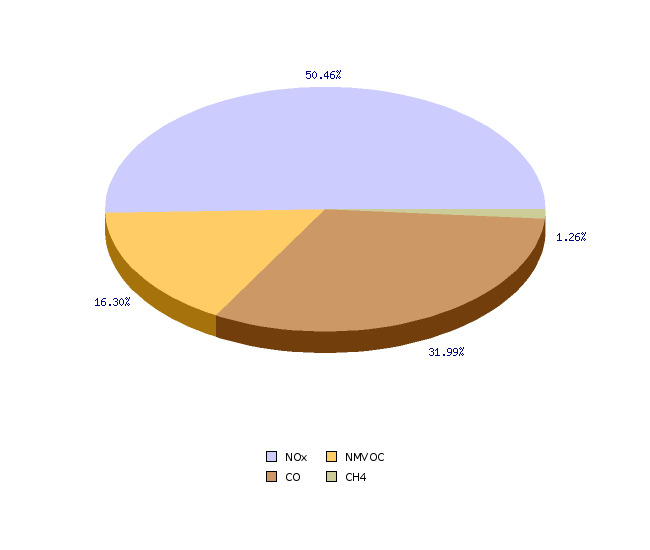 Emissions of nitrogen oxides (NOx) and non-methane volatile organic compounds (NMVOC) were lower than their respective 2010 ceilings. 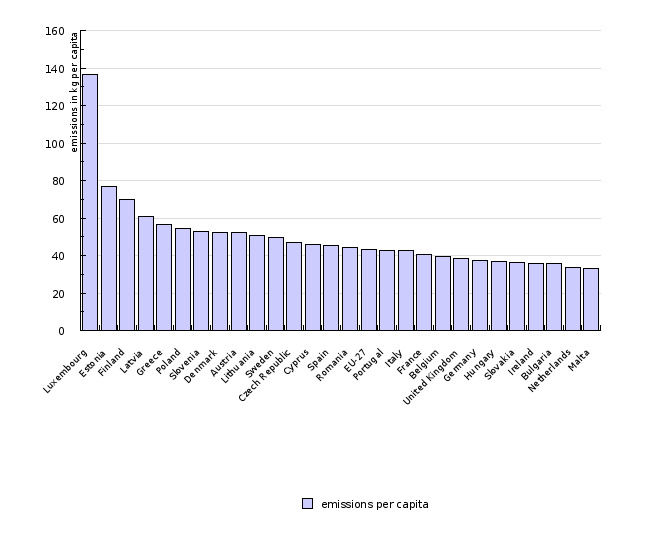 Comparison of emissions per capita ranks Slovenia to the 7th place among the EU-27 countries in the year 2010.